Usually, when we buy a giant container of organic baby spinach (or any size for that matter), we expect to get the spinach that we paid for. That’s not unreasonable, right? So, I’m minding my business, wilting half of the spinach in a pan of olive oil, butter, and onion from the garden, and I pull out a stem of something that is decidedly NOT spinach. My first reaction was that that it looked like something I’ve seen before, but it didn’t belong in my spinach and was I already cooking some of it? What was I about to feed us? Woohoo! The purslane stowaway was a welcome one. Just like the article said, it tastes like spinach and watercress. Delicious! We’ll see if I add it to the garden though. I wouldn’t call myself a forager, but I love knowing what plants are edible (green bean blossoms, for example). Even though I know dandelions are edible, I don’t have plans to add them to my salads. 😉 I just can’t get beyond the weed that it is. 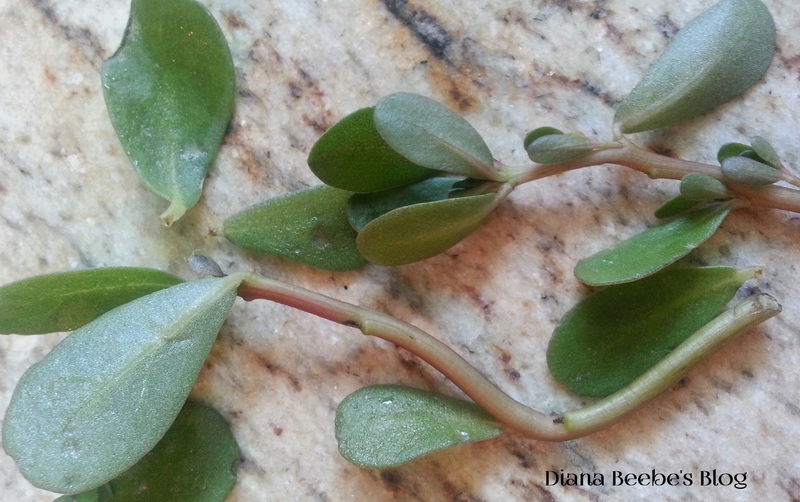 Do you explore different kinds of plants for food? What not-traditionally-cultivated-for-food plants have you eaten?